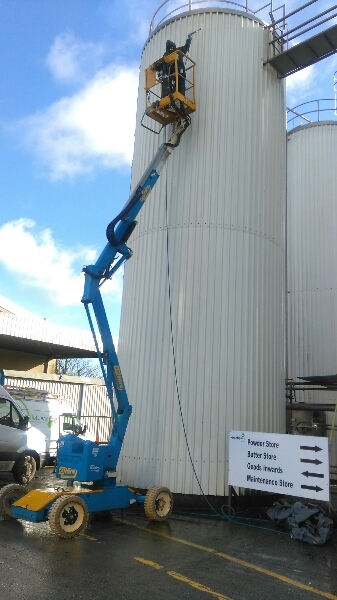 Our operatives are trained and experianced Industrial Rope Access Technicians (IRAT) and can safely access areas and spaces that are unsuitable for using hoist or scaffold. With over forty years experience in industrial cleaning we have a flexible and highly trained workforce, and we pride ourselves on the highest standards of health and safety. Our specialist abseil technicians are certified in all disciplines of working at height and confined space as well as high access pressure washing and window cleaning. Our technicians can access extremely awkward spaces that a hoist or scaffolding cannot contend with.